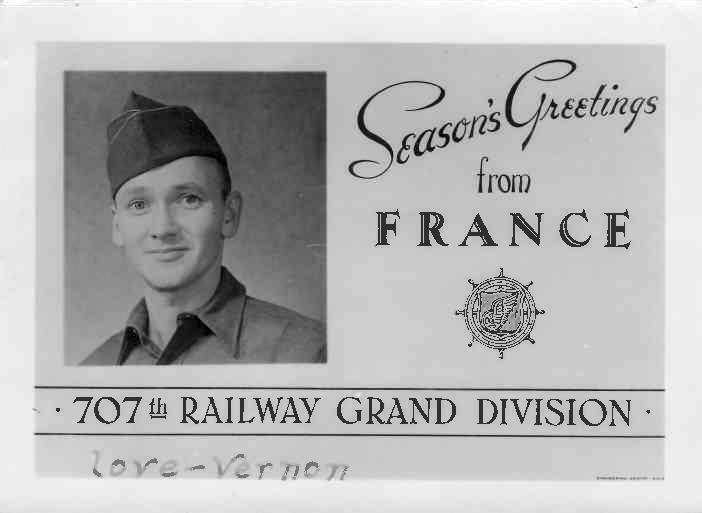 This is one of my favorite pictures, a greeting card sent from my Uncle Vernon in WWII to his wife and my Aunt Estella. I really miss his insight and wisdom, especially as he stepped in and took the place of being a Dad to me. They didn’t have any kids of their own and Mom said that after helping raise me in those early years they decided that they for sure would never have any. Thank you Uncle Vernon and all veterans for your service to our country!